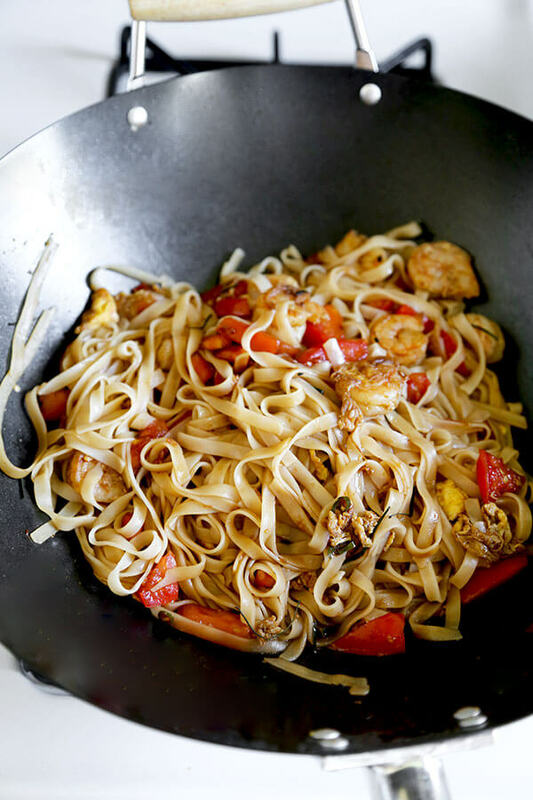 A fiery and fragrant Drunken Noodles Recipe that tastes like proper Bangkok street-food! This simple Thai Pad Kee Mao is ready in 16 minutes from start to finish. Eating outside in Southeast Asia is prime living! One of my favorite things in the world is digging in at one of the street-food stalls lining a vibrant, hectic and traffic clogged soi in Bangkok. You see, there’s an undeniable excitement when dining al fresco in a city where everyone is a foodie. Taxi drivers and bank execs belly-up, elbow to elbow at the same stall, and eat the specialty dish that particular open-air chef/proprietor is known for. Pad Kee Mao (ผัดขี้เมา), or Drunken Noodles, has long been one of my favorites to eat in Thailand. It’s also a favorite when I’m just sitting around at home and want to introduce some delicious, spicy noodles to my tummy while working on a puzzle and streaming Bloodline on Netflix. The deep savory, sweet and herby fragrance of the springy stir-fried noodles just screams for me to pop a Singha and go for broke! And drunken noodles is a super easy dish to make at home. Seriously, of all the easy Thai recipes on my blog, this is one of the most glorious and satisfying in my book. What is Pad Kee Mao? 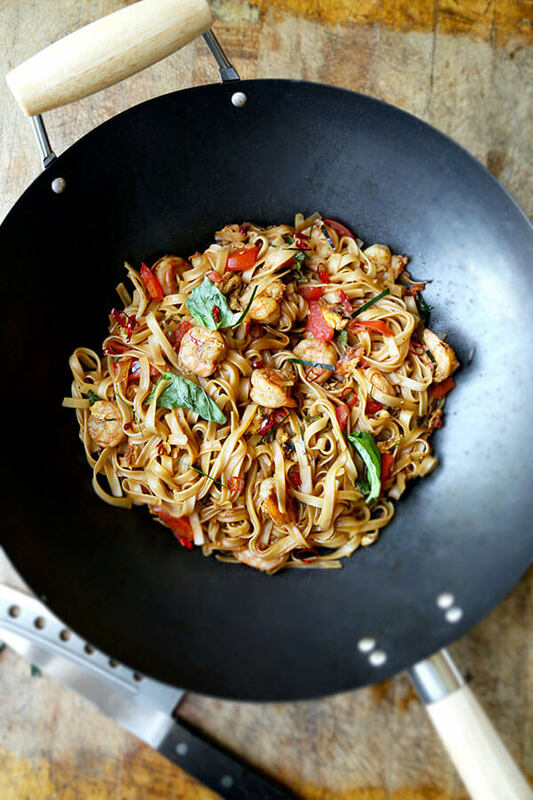 Drunken noodles – or pad kee mao – is a stir fried noodle dish, typically made with broad rice noodles. Then, legions of flavor is introduced via judicious use of savory elements – namely soy sauce and fish sauce. Aromatics like kaffir lime leaves and basil deliver a super verdant element to this Thai noodle dish. Also, there’s an understated sweetness just below the surface – typically from use of a dark, sweet Thai soy sauce. Now, the cool thing about whipping up Thai drunken noodles at home is that it’s a food mash up of a bit of this, mixed with a tad of that. And, much like the name implies, recipes for these savory and spicy noodles can seem a little all over the place. But there’s a reason for that! 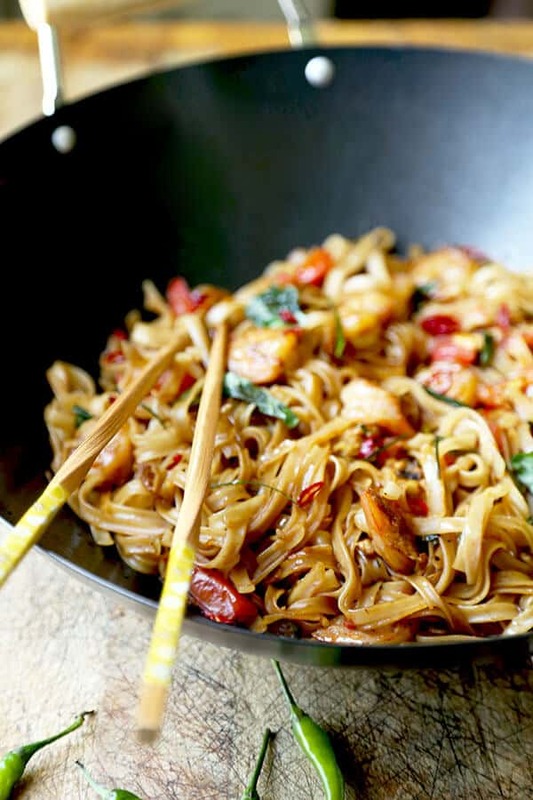 Theories abound as to how pad kee mao, or drunken noodles, first came to be. 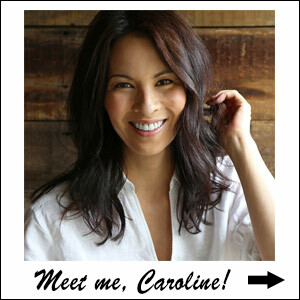 My favorite is the one suggesting that the originator of the recipe came home drunk one night, whipped out the wok and made a sloppy dinner with the ingredients that were available at that late hour. I imagine that very first mash-up of fragrant noodles really hit the spot. It’s not often that an improvised late night meal after a few too many whiskeys becomes immortalized in the Thai food lexicon. How’s that for a lasting innovation!? And, true or not, what really strikes me about that tale is how much a part of the true human/food experience it seems. 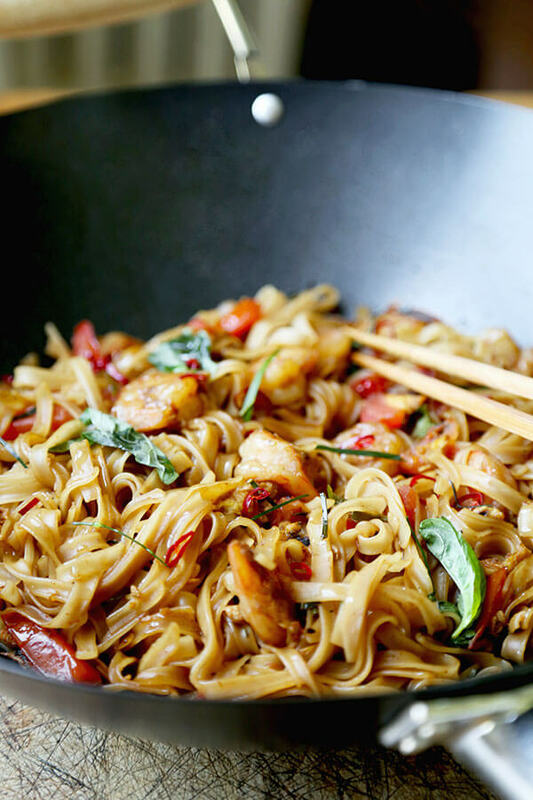 Because, no matter how drunken noodles were actually invented, who hasn’t played around with food combinations late at night, maybe after a few glasses of wine? I’d venture a guess that most of the casseroles we’ve eaten throughout our childhoods were once dreamed up either out of necessity, or out of an intrepid spirit to create something new by our grandmother’s neighbor’s friend’s great-aunt, twice removed – and then passed along through generations. The only difference is scale. Aunt Ina’s Tuna Surprise isn’t on the menu when you’re looking for dinner on Seamless. But drunken noodles sure is. What ingredients do I need to make drunken noodles? Depending on the depth of ingredients in your pantry, making pad kee mao at home may require a trip to your local Asian grocery store to pick up essentials. For this drunken noodles recipe, I used wide rice-stick noodles. They soaked up the pungent sweetness brought on by the fish sauce and dark Thai soy sauce. They’re also a perfect vehicle for bits of fiery Thai chili and thinly sliced aromatic kaffir lime leaves. If you can find Thai basil or holy basil then you should definitely use it. Otherwise, regular basil will do just fine. I used shrimp for this recipe but, in sticking with the choose-your-own-adventure nature of the dish, you can totally use beef, pork, squid, tofu, or chicken as your protein. Oh… a word on the volcanic Thai chili (Phrik Khi Nu, พริกขี้หนู): a little goes a long way! The peppers are tiny, but really pack an immense amount of heat. If you don’t like spicy, just leave them out. On the other hand, Ben is a chili fiend and devoured his already spicy drunken noodles with an extra side of sliced Thai chili soaking in a small ramekin of fish sauce. So, as far as I’m concerned, the most important step of this recipe can seem like the simplest. We’ve got to prepare our dry noodles. But don’t be fooled by this seemingly innocuous task into thinking it’s not important! 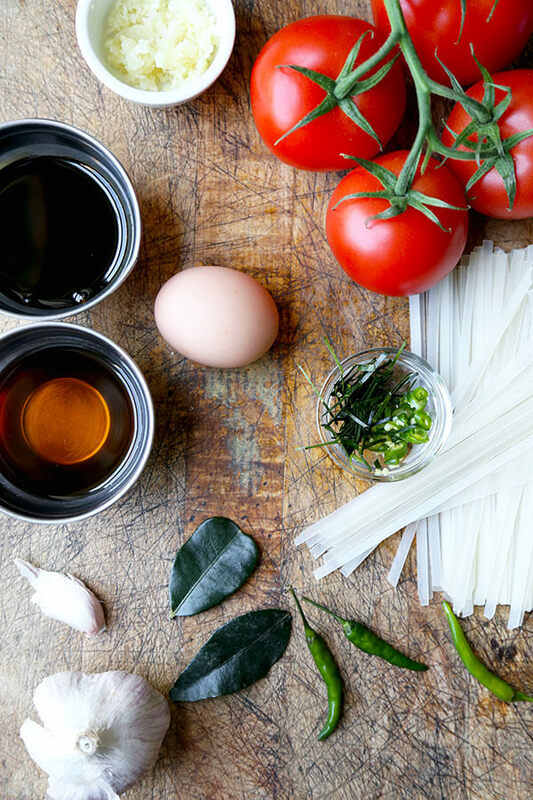 You see, rice noodles vary slightly from brand to brand – and the preparation instructions can vary as well. Make sure to read that package! While one brand will suggest that you soak your noodles until pliant, another may suggest immersion in a pot full of boiling water. Trust me, no one wants hard noodles in their pad kee mao. And same goes for a gloppy, gluey mess. While your noodles are softening up, get a pan or a wok going over medium-high heat and fry your garlic with a little oil until it is golden and fragrant. Then, it’s time to add your shrimp. Get them in the pan and toss for about 2-3 minutes. 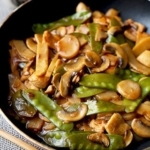 Don’t overcook them, because there’s still quite a bit of wok time left. Toss your egg in the pan and stir for a couple of seconds until it begins to set. Now, add chili, lime leaves, chopped tomato, fish sauce and dark soy sauce. Stir this for a minute or so until the tomato is cooked and sauce is bubbling. At this point, you get to add your perfectly prepared noodles to the wok. 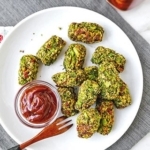 Toss well to make sure they are evenly coated with sauce. Just sprinkle some hand-torn basil over your drunken noodles – and plate up. It’s dinnertime! I’m always quite surprised at how few steps are required to make these fiery, savory noodles. A couple of bites and I’m instantly transported to a food stall in Bangkok. 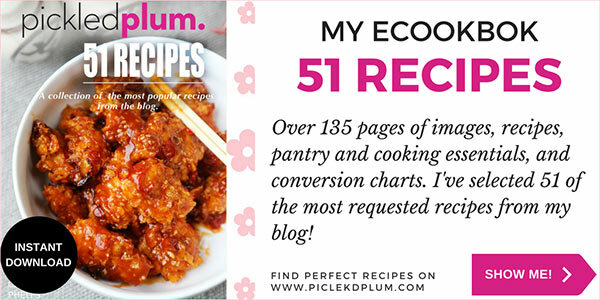 If you’re anything like me, you LOVE recipes that deliver full taste with minimal effort. And that’s where we find ourselves with this pad kee mao recipe, friends. Easy effort in the kitchen. Big BIG flavor! Actually, any time we’re about to order Thai delivery at our place, and I find myself contemplating ordering drunken noodles vs pad thai, I’ll usually head to the kitchen. You see, if I have all the ingredients handy, I’ll probably just whip up this pad kee mao recipe and forget about delivery all together. What about you? What’s a dish you’d rather just whip up at home rather than ordering out? I’d love to hear all about it in the comments! 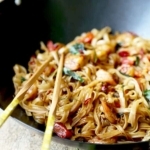 Did you like this Drunken Noodles Recipe? Are there changes you made that you would like to share? Share your tips and recommendations in the comments section below! 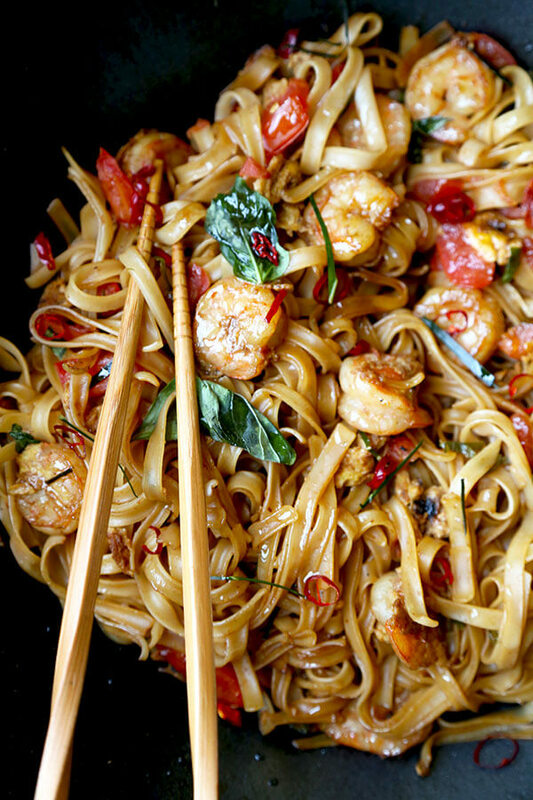 A fiery and fragrant Drunken Noodles Recipe that tastes like authentic Bangkok street-food! This simple Thai Pad Kee Mao is ready in 16 minutes from start to finish. Prepare rice noodles by following the instructions on the package. Set aside. 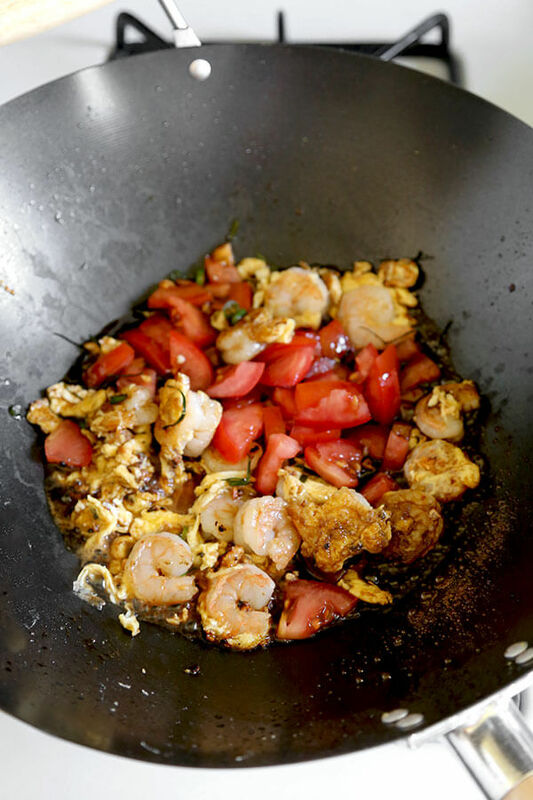 In a wok or frying pan over medium high heat, heat the oil and fry garlic for 1 minute, or until golden. 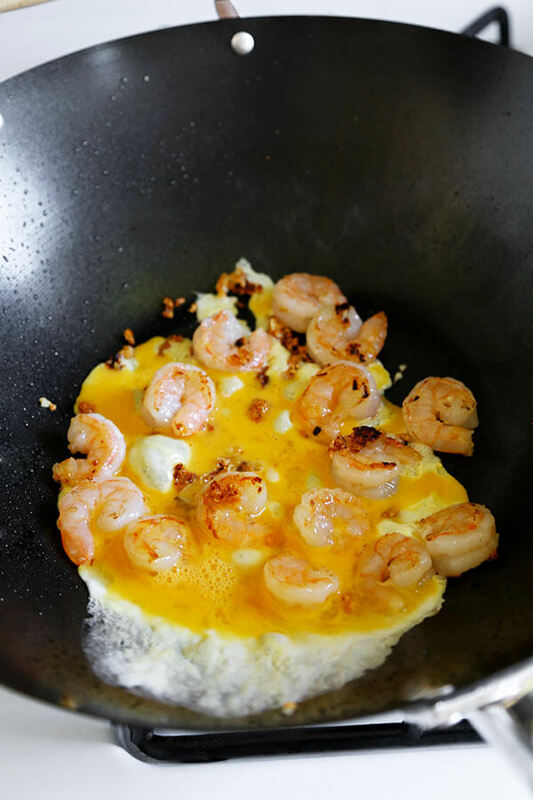 Add shrimp and toss for approx 2-3 minutes, until almost cooked – then add egg and stir for a couple seconds until egg starts to set. Add chili, lime leaves, tomatoes fish sauce and dark soy sauce and stir for a minute or so until the tomato is cooked and sauce is bubbling. Add the rice noodles and toss until noodles are hot, evenly coated and ingredients are mixed well. Turn off the heat and add basil. Toss and serve immediately. This drunken noodle recipe will keep refrigerated for up to 2 days. 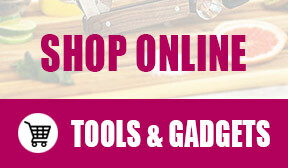 Can anyone recommend a great wok, that is nonstick and cooks evenly. I have a super burner on my gas stove and want to more stir frys! Hi, silly question, do you chopped up the thai chili? Hi Teresa! Yes, the Thai chilis are chopped and are optional since they are quite spicy! Cathy, your chicken sounds so delicious!! I have made this several times. So delicious. Tried using Chicken when I forgot to buy shrimp. Turned out ok but not as good as with the shrimp. One other comment stated they added more sauce, what kind? When I made this dish the noodles soaked up all the sauce and it seemed dry. Any idea where I went wrong- but it was still fantastic. Silly question – but for the noodles – did you just soak per the package instructions or boil?? We are having a Thai themed dinner tomorrow night with friends and this is my dish to contribute -can’t wait to try it!! I made this tonight as it’s Chinese New Year and we use chicken instead of shrimp. My husband and I love it so muchhhh! We will totally make more of this for our dinner. If I don’t have sweet dark soy sauce but I have dark soy sauce, should I add the sugar to that? 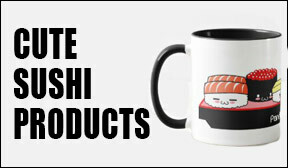 Or would you recommend adding sugar to regular soy sauce only? P.S. 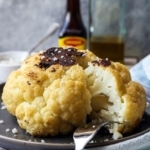 : Thank you for your recipes, they are always amazing and delicious! 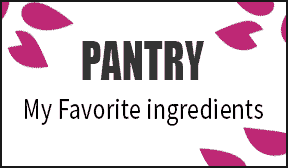 You can definitely add a little sugar to the dark soy – either add 1/2 tsp as the recipe calls for or do a taste test. I hope you like this dish! We just made this tonight and it was fantastic! Thanks so much for this recipe. We used 2 Thai chilies and it was really spicy but didn’t blow our heads off. 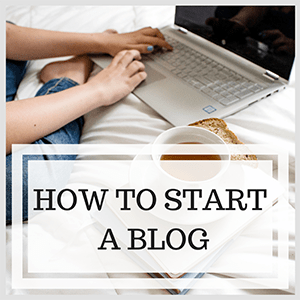 I’m looking forward to trying many more recipes on your blog. I had high hopes for this recipe, it looks so good on the picture. But in reality it doesn’t taste like Drunken noodles I love and it’s terribly salty. Just soy sauce and Fish sauce as the liquid ingridients, really? I couldn’t taste lime zest or basil, just salt. And, in my opinion, 2-3 min cooking time for shrimp before the sauce and tomatoes is just too long. The shrimp got to rubbery, overcooked, and I did cook on a high heat for the liquid to get to the boiling point as quickly as possible. Hi Oksana, I’m sorry you didn’t like the recipe, it’s definitely a departure from the Thai food we get in North America. Authentic Thai food is pungent and salty as opposed to sweet, which is what most of us are accustomed to eating. Having lived in Bangkok and across Southeast Asia for 8 years, I can confirm this is how it’s served except for the fact that kaffir lime leaves are always used instead of lime zest (which make the dish much more fragrant). Oksana, I think you may have made a mistake in folliwing the recipe. It is not “just fish sauce and soy sauce” it is fish sauce and ‘sweet dark soy sauce’ (like kecap manis) which has a syrupy consistency and a unique and distinct sweet molasses-like flavour. The complexities of the fish sauce combined with the complexity of the correct sweet soy sauce would have drastically altered the flavour profile of your dish. Perhaps what sweet soy sauce is should have been spelled out more, but using the incorrect ingredient isn’t the recipe developer’s fault. I recently had this at a new-to-me restaurant. It was rated 2 out of 3 on the spice level. I love hot spices and this was perfect for me. 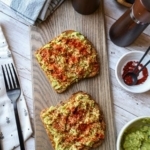 I would love to create it at home and now I can with your recipe. Thanks! Thank you Paula, I hope you enjoy it! I love drunken noodles. This is my favorite dish that I’ve always order from Thai restaurant. Now I can make it at home. Thanks for the recipe!! Beautiful pictures!!! Not fair! It’s cold and wet here in Sydney right now and everywhere I look I see awesome Thai street food – and I just want to be back in Bangkok eating street vendor noodles! Looks so delicious, definitely saving this recipe to make real soon! Believe me, I wish I was there too eating sour green mango with that chili sugar dip! Oh my goodness, I love Thai food! I can’t wait to try this recipe, without the lime leaves unfortunately…I have limited options while living in Mexico. You can find lime leaves in Mexico, just ask at fruit market. You can also ask where they sell fresh herbs.